Four lives. Four defining moments which will bring them together. Owen Abingdon is haunted by nightmares of the Merfolk. He believes they have stolen his little sister who vanished while he was meant to be minding her on the beach, but he was only a child himself. Is it fair for his mother to blame him? Catherine Hoyle's perfect Christmas with her cousin from America was blighted when they went skating on thin ice and Rosalyn nearly died. Somehow, instead of being praised for raising the alarm, Catherine gets blamed. Unlike the other three, Naomi Seddon didn't fear the sea. She'd been orphaned and placed in a children's home in Sheffield and cruelly abused. The sea offered her a way out and she revelled in its cruel power. The "water children" meet in London in the searing hot summer of 1976 and Naomi uses her siren's charm to lure Owen,Catherine and Sean into her tangled web of sexual charm and dangerous passion. A holiday in the Tuscan mountains with a flooded reservoir and its legend of the beautiful Teodora who drowned there brings this emotional drama to a powerful climax. Will the power of family, love and redemption finally help the water children conquer their fears and triumph over their childhood traumas? I read Anne Berry's first novel The Hungry Ghosts a year ago and really enjoyed it, so was delighted to get a pre-publication of The Water Children via the Amazon Vine programme. 'The Water Children' is not a quick read, nor is it, at times, an easy read. It is, however, a compelling and absorbing story that requires much concentration and raises a lot of questions. A story of how one incident from childhood can shape the rest of a person's life, their character and their destiny. Catherine, Owen, Sean and Naomi all have a strange relationship with water and this is what connects them in later years. Catherine and Owen are both aware of how water has the power to destruct; one of them almost drowning in an icy lake, the other feeling responsible for the death of someone else by drowning. Sean and Naomi do not fear water, but are still obsessed by it. Sean taught himself to swim in the River Shannon and Naomi has created an alternative watery life for herself that cancels out her terrible childhood spent in a children's home. As adults, their lives become entangled, with Naomi being the main dangerous and alluring link. This is not a plot-driven story, it unfolds slowly and gently, with each character being built up so that the reader can understand their reasonings and their behaviours. Except for Naomi who starts out as a mystery, with flashes of her past life teasingly inserted into the plot in small snippets. This is Anne Berry's second novel and I enjoyed it very much, maybe not quite as much as her first book; The Hungry Ghosts which I loved, but it is still a fascinating and compelling read. 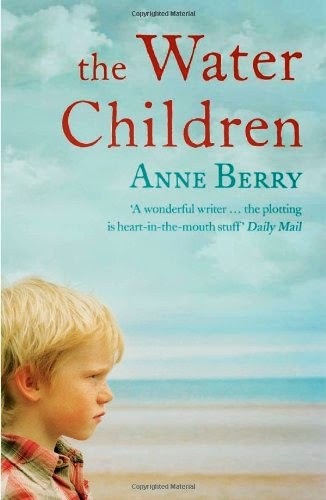 Anne Berry was born in London in 1956, then spent much of her infancy in Aden, before moving on to Hong Kong at the age of six, where she was educated, first at Little Peak School, then Big Peak School, finally at the Island School, where she completed her A levels. She worked for a short period as a journalist for the South China Morning Post, before returning to Britain. After completing a three-year acting course at the Guildford School of Acting, and attaining LAMDA diplomas with honours in acting, teaching and speech therapy, she embarked on a career in theatre. She played pantomime to Shakespeare, and everything in between, shuttling around regional theatres. Most memorable were seasons spent at Theatre Clwyd Wales, Theatre Royal Windsor and Regents Park Open Air Theatre. Waylaid by love and marriage, Anne and her husband settled in Surrey with their four children. In 1992 they moved to their present home in the village of Bookham. Here Anne founded a small drama school, running it for over ten years. Throughout this period she wrote over thirty plays, performed by the pupils of the school. Anne's first love is writing, and it is now her full-time occupation. She remembers loving nothing so well as being given an imaginative composition for English homework at Peak School in Hong Kong. Coming a close second is theatre, with an unbridled passion for Shakespeare. She is an art lover, with Vermeer and Caravaggio being particular favourites. Anne is also a keen swimmer and walker. She has had undiminished support from her family in her writing career. Not everything that arrives at our house comes through the letter box. We often have little presents delivered via the cat-flap, brought to us by one of the 'terrible two'. Our two cats, Costa and Nero are very good hunters, and always feel the need to bring home their spoils to show to us. Over the past three and a bit years they have brought us many gifts including mice, voles and birds - some dead, and some very much alive. I'd really rather they didn't!! My heart drops when the cat-flap goes and I look up to see one of them striding in with a gift in their mouth - I've lost count of the number of times that Martin and I have had to chase a live mouse around the house, catch it and let it free. 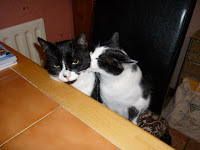 They are fabulous cats, I love them to bits and wouldn't be without them, but I really could do without the extras! A fallen star. A runaway bride. They're about to be pitted against each other by a very powerful man. Madison Miller has everything - beautiful, talented and just a little bit naïve; she's the small-town girl who swept to victory on America's hottest talent show to become the nation's sweetheart. Jess has bolted from her approaching wedding and a dead-end job in London to chase dreams of being a fashion designer in New York. But she's finding life in the Big Apple tough, until she meets a man who makes her an offer she can't refuse. It means a taste of a life she's never had - glamorous parties, paparazzi, haute couture - but at what price? Sweeping from the hotspots of LA to the coolest bars of New York, SPOTLIGHT cuts a gloriously fun swathe through the world of celebrity and glamour, with a page-turning story at its heart. 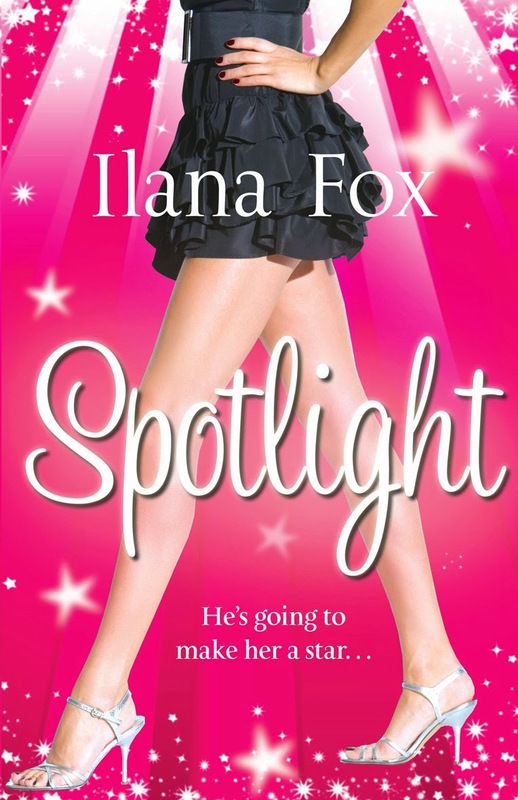 Recently I was invited by Elle from Trashionista to get involved with their new book group, our first read was Spotlight by Ilana Fox. 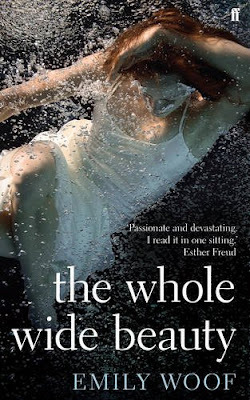 I reviewed Ilana's first book The Making of Mia for Waterstone's quite some time ago and remembered enjoying it, however, it's quite a while since I've read anything quite so girly, so wasn't sure what I would make of this one. A bright pink cover, with sparkly silver stars and a pair of never-ending legs could be off putting, how many of us judge a book by it's cover? Plenty, I'd say. Don't be put off! This is a great read that pulled me in from page one. Two leading female characters; Madison Miller - America's latest sweetheart and the winner of the hottest TV talent show and Jessica Piper - an English wannabe fashion designer who has fled to New York after 'not quite' getting married. Both Madison and Jess become involved with Beau Silverman - one of the most powerful men in American TV, handsome, smooth talking, wealthy, but also unscrupulous, mean and totally rotten. The plot is fast and well thought out, if a little OTT in places. Madison approaches meltdown and Jess is thrust into the whirlwind that is show business, both of them controlled by Beau and his entourage. There is plenty of celebrity, glamour, champagne and designer clothes but Spotlight also touches some really serious problems - drugs, alcohol, eating disorders and domestic violence are all dealt with sensitively and realistically. This is a really entertaining read, I raced through it in a couple of days and really cared about Madison and Jess and really despised the awful Beau. With thanks again to Elle from Trashionista and Sophie from Orion Books for including me in the book group. It seems that I am not the only stationery addict amongst my friends. I've discovered that quite a few of them have a similar love of pens, sticky notes and glittery pens too - maybe we are strangely drawn to each other. My friend Deborah has recently added to my pen hoard, she sent me a very lovely pen and a diary this week, she runs a small business called Claims Care Centre and helps people make compensation claims. Her pens are very good quality - I do like a good writer (as my Mum would say). It's been such fabulous weather for the past couple of days, I love spring - daffodils, lambs, blossom - it really makes me feel quite happy. What I really don't like though is the yards of white flesh that suddenly makes an appearance as soon as the sun pops out from the clouds. Vest tops, crop tops, tiny shorts, hairy legs - I've seen them all this week! It's been warm yes, but it's not that warm! A moment that changes their lives forever. Fiona, a midwife, is plagued by panic attacks and unable to work. Has she the strength to testify? Mike, a delivery driver and family man, faces an impossible decision when his frightened wife forces him to choose - us or the court case. Cheryl, a single-mother, doesn't want her child to grow up in the same climate of fear. Dare she speak out and risk her own life? Zak, a homeless man, offers to talk in exchange for witness protection and the chance of a new start. Ordinary people in an extraordinary situation. Will the witnesses stand firm or be prevented from giving evidence? How will they cope with the emotional trauma of reliving the murder under pitiless cross-examination? A compassionate, suspenseful and illuminating story exploring the real human cost of bearing witness. 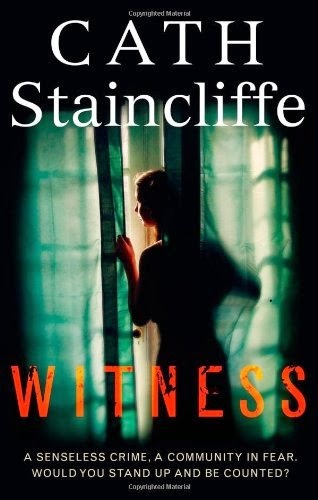 Cath Staincliffe's The Kindest Thing was one of my Top Ten Reads of 2010 and her latest novel, Witness has confirmed her place amongst my favourite authors. The brutal gangland murder of a 16 year old boy is the focal part of the story, but does not take centre stage. The real story concerns those people who witnessed the murder - four ordinary people who have to make up their minds whether they are brave enough to testify in court. The murderers are well-known gang members, if they, or their cronies discover the witnesses identity, then they are looking at a death sentance. The story of each witness; Fiona, a midwife; Mike, a delivery driver; Cheryl, a young single mum and Zak, a homeless guy is very well told. Each witness has their own reasons for wanting the murderers put behind bars, just as they each have a reason as to why it may be easier to keep quiet. As the story unfolds, the reader starts to learn more and more about each witness, their individual stories are just as interesting and compelling as the main murder story. There is no doubt that Cath Staincliffe has done lots of research in this area. I was a volunteer with Victim Support for a few years and often worked closely with the Witness Service volunteers and I could identify with some of the situations described. This is an excellent story, tense and quite emotional in places, with excellent characters who really do seem realistic. I'd like to say a huge thanks to Emily and Jamie at Constable & Robinson who are very kind to me and gave me the opportunity of reviewing this book. Cath Staincliffe is a best selling, award winning novelist, radio playwright and the creator of ITV's hit series, Blue Murder, starring Caroline Quentin as DCI Janine Lewis. Cath's books have been short-listed for the British Crime Writers Association best first novel award and for the Dagger in the Library and selected as Le Masque de l'Année. In 2012 Cath won the CWA Short Story Dagger for Laptop, sharing the prize with Margaret Murphy with her story The Message. Both stories featured in Best Eaten Cold, a Murder Squad anthology. Cath was shortlisted again with Night Nurse in 2014. Cath's Sal Kilkenny private eye series features a single-parent sleuth working the mean streets of Manchester. Trio, a stand-alone novel moved away from crime to explore adoption and growing up in the 1960s, inspired by Cath's own experience. Cath's latest stand alone book, Letters To My Daughter's Killer, exposes the aftermath of violent crime for an ordinary family and explores fundamental questions of crime and punishment and whether it is possible to forgive. Letters To My Daughter's Killer was selected for Specsavers Crime Thriller Book Club in 2014 and featured on ITV3s Crime Thriller Club. Ruthless is Cath's third novel based on the popular Scott & Bailey UK TV series. 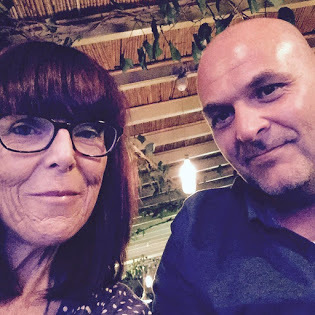 Cath is one of the founding members of Murder Squad - a group of Northern crime writers who give readings, talks and signings around the country. Cath was born in Bradford, Yorkshire, UK and now lives in Manchester, Lancashire with her family. 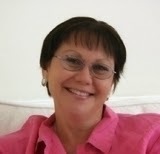 You can follow her on Twitter, @CathStaincliffe, which she does when she should be busy writing! I really like this Amazon Vine programme, I've now had two books and a Canon Portable Scanner - all for free - it's great. My only obligation is that I must review at least 75% of the items that I receive and as I enjoy doing reviews, that's fine by me! The scanner is fabulous! It arrived last week and I've had fun testing it out, if I can work it, then anyone can. It's really handy, especially for old photos that I want to keep on a CD, or add to Facebook. "This scanner really is a great little tool - especially for the home office when space is at a premium, and if you need to scan whilst on the move, it is the perfect tool. It's sleek and attractive, easy to use - the perfect scanner! The scanner has an automatic duplex - it scans both sides without having to re-insert the document and holds up to 20 pages at a time - and it's so tiny, folds down to just under 10cm. It runs from a single USB port and you can use the mains too. I expected it to be a little slow, but it was really fast and seemed no slower than larger scanners that I've used. The documents went through smoothly, with no creasing or jamming and the quality of the scanned picture is top class. Very very simple for anyone to set up and to use - I didn't have to use the enclosed disc when using the scanner with my notepad, it was all up and running within minutes. This is an excellent product, sleek and attractive, easy to use with great quality finished products." A strange parcel arrived the other morning. A knock at the door at 7.30am and there was a UPS delivery man with a huge box - I was just a little excited! Inside? A Breville Pie Maker!! I entered a competition ages ago and had forgotten all about it, so now, what to do with it? Pies? I quite like them - Mum's apple pie - my own meat and potato pie - but we don't eat them very often. So shall I start making pies, or shall I give it away? We could have pie every day, I could be quite imaginative in the fillings - or, I could donate it to a charity for a raffle prize! It's been a busy time and I'm a bit behind with my blog, but I've had some really interesting parcels over the past couple of days. When Imtiaz Raina leaves England for the first time, to bury his father on his family’s land near Lahore, he exchanges his uncertain life in Sheffield for a road that leads to the mountains of Kashmir and Afghanistan. Once back in Yorkshire, he writes through the night to his young wife Becka and baby daughter Noor, and tries to explain, in a story full of affection and yearning, what has happened to him – and why he has a devastating new sense of home. 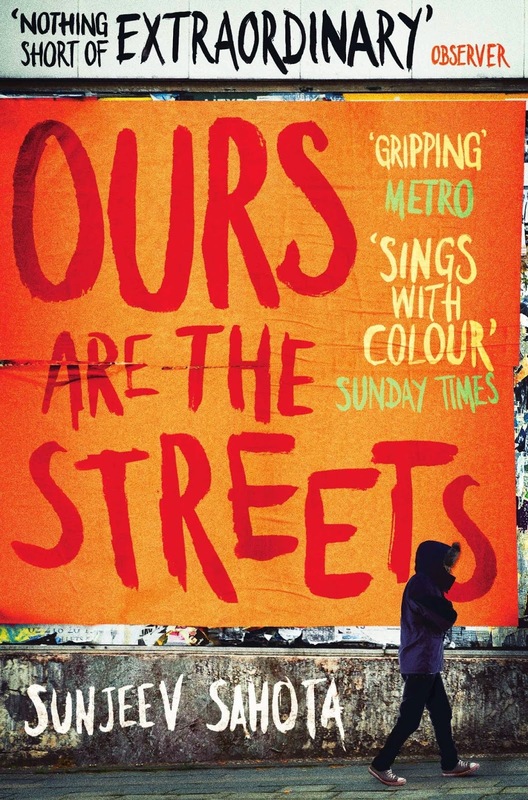 "The premise for the story behind Ours Are The Streets is an excellent one, and in the right hands this could be a powerful story that could go some way to explain why young men that have been born and brought up in Britain feel the need to turn to extreme fundamentalism. However, the writing style in this book is so very odd. Imtiaz is a recognisable character, he is young, bored and has found himself married and a father at a young age, but there is nothing in his thoughts to make the reader feel as though he is particularly angry with the world, or that he feels hard done by. Imtiaz and his young white wife live in Sheffield with their toddler daughter, they married against the odds and Becka, his wife has 'reverted' to his relgion. It is not until Imtiaz's father dies and he returns to Pakistan for a visit that he starts to question his life back in England, and even then when he starts to associate with other young radicals there is no real explanation as to why he decides to become a suicide bomber. Life in Pakistan is portrayed as idyllic, with family members almost worshipping him, feeding him and bestowing gifts and money on him. Coming home to Sheffield brings him back down to earth with a bang, and he realises that he is just another young man trying to make a living. The passion and emotion that you would expect from a story such as this is lacking and the language is annoying at times but there is something strangely compelling about the character of Imtiaz that made me read on until the end. Living very near to Meadowhall, I did find Imtiaz's plans to blow himself up there quite disturbing, his regular visits to check out how busy the place was did bring home to me just credible a plan this could be. " Phew what a week!! It's been non-stop at work this week, I've not had time to update on here, but I have received some good parcels. This week I was excited to be invited to join the Amazon Vine Programme, it feels almost as though I've become part of a secret society. Members receive a newsletter twice a month and can pick two items from each newsletter - these should then be reviewed on Amazon. It seems that all sorts of items are available, no surprise that my first two picks were books - they've arrived already and I'll post my reviews very soon. Last night's newsletter was pretty sparse, but I managed to bag myself a Canon Portable Scanner, I was really pleased with that. It's my Mum's 70th birthday on Monday and we are going out for an Italian meal tomorrow - there will be lots of lovely photos to follow. I can't let on what her present it just yet, she may be reading this! The sun is shining, I've been in the garden - is spring finally here? They say that there is no such thing as a free lunch, I guess that's true. The only time I seem to get any free food is if I'm on a work 'do' and then invariably it's the usual buffet, or deep fried ming as I call it. I just can't bear all those plates of unidentified, batter covered items. I never know what they are and am certainly not taking a chance on being the first to taste them. I usually pick someone out to follow when it comes to feeding time, let them be brave and then ask them what it is. That sometimes doesn't really help though, sometimes even when they've tasted it they still don't have a clue. I'd rather have a pot noodle! Anyway today I received a £10 voucher to spend at Frankie and Benny's, use by the end of March. I doubt I'll use it, but I'm sure that I'll find someone who can. I'm not F&B's biggest fan to be honest, it's all a bit plastic and fast for me. The last time I was there my veggie friend Sarah got chicken in her meal - not good really is it? Today was another day of free books too - in fact most days sees a book or two through the letterbox to be honest. First us was a World Book Night copy of Fingersmith by Sarah Waters, sent to me by my friend Kate in Sheffield. I've had a hardback copy of Fingersmith on my shelf for ages but somehow never got around to actually reading it. I know that it's a big favourite with lots of people so now I have a paperback copy I will make sure I read it soon. I've read Nightwatch and The Little Stranger by Waters - loved Nightwatch but not impressed with The Little Stranger. My second book of the day was a competition win from Scholastic Books - a special edition proof copy of One Dog and his Boy by Eva Ibbotson. I love Eva Ibbotson's work, she was a very special author and sadly she died, aged 85 last October, just the day before the proof copies arrived from the printer. That's really quite sad, the book is beautiful. I went off to Leeds yesterday to meet up with friends from the ReaditSwapit forum, we met for lunch at Henry's and stayed for the whole afternoon. We always have a great time at Henrys, they are very accommodating to a crowd of fairly noisy book lovers, the food is always great and the staff are very friendly. I don't envy whoever has to clear up after us though! ReaditSwapit is one of the reasons why I receive so many parcels through the posts - it's a simple idea really; once you've read a book, list it on the site and either request to swap it for another book that someone else owns or sit back and wait for someone to request a swap with you. It's all based on trust, you send a book, the other swapper sends a book - fair exchange, simple and sweet. Over the years, swappers have become friends and we've met up all over the country and Northern Ireland, we are all different yet all love reading, so there is always lots of book discussion and lots of books exchanged. Earlier in the week I'd received a copy of The Whole Wide Beauty by Emily Woof from Alex at Faber and thanks to the lengthy train journey to Leeds, I read most of it yesterday and finished it off this morning. Emily Woof is a well known actress who has starred in the likes of The Full Monty and Middlemarch. This is her debut novel. 'The Whole Wide Beauty' is a character led story, and although of course there is a plot and various stories that interlink, it is the strength of the characters that carry the novel. None of the main characters are particularly likeable, which for me, made them more interesting and unpredictable. Katherine, the main character is a retired dancer, now a music teacher in a school for 'troublesome' boys and has just embarked on an affair with Stephen, a poet who is a protegee of Katherine's father. Her father, David is a rather pompous and totally self-absorbed, he has spent his life trying to build up his poetry foundation, with his wife and children always coming a poor second. The one character that I did like was May, Katherine's mother and David's wife, she's totally independent, carries on working and doing as she pleases and although at first she appears a little cold, by the end of the story her real emotion and feelings are shown to the reader. I found this an intense and absorbing read, one that exposed the relationships within this family, the 'back' stories gave an insight into the sometimes puzzling behaviour of some of the characters. There is a real passion in this writing, the novel slowly unravels into quite an emotional and absorbing read. I'm sitting on my couch, watching the local news. There's Chloe's parents, the mayor, the hangers on, all grouped round the pond for the ceremony. It's ten years since Chloe and Carl drowned, and they've finally chosen a memorial - a stupid summerhouse. The mayor has a spade decked out in pink and white ribbon, and he's started to dig. You can tell from their faces that something has gone wrong. But I'm the one who knows straightaway that the mayor has found a body. And I know who it is. This is the tale of three fourteen-year-old girls and a volatile combination of lies, jealousy and perversion that ends in tragedy. Except the tragedy is even darker and more tangled than their tight-knit community has been persuaded to believe. Blackly funny and with a surreal edge to its portrait of a northern English town, Jenn Ashworth's gripping novel captures the intensity of girls' friendships and the dangers they face in a predatory adult world they think they can handle. And it shows just how far that world is willing to let sentiment get in the way of the truth. I read Jenn Ashworth' first novel 'A Kind of Intimacy' early in 2010 and thought it was fantastic, it was in my Top Ten books of 2010. Jenn is a great writer and has a fabulous blog here, which is always entertaining and well worth a follow. On the strength of 'A Kind of Intimacy', Jenn was voted one of the 12 best new novelists on the BBC's Culture Show - there is an article about the show here. My thoughts on 'A Kind of Intimacy' can be found here. I was delighted to receive a proof pre-publication copy of Jenn's new novel 'Cold Light' - many thanks to Jenn and to Nikki at Hodder for sending the copy. I've had my head stuck in this book for the past couple of days, and have not been disappointed at all, another dark and tense read. Here's my thoughts. 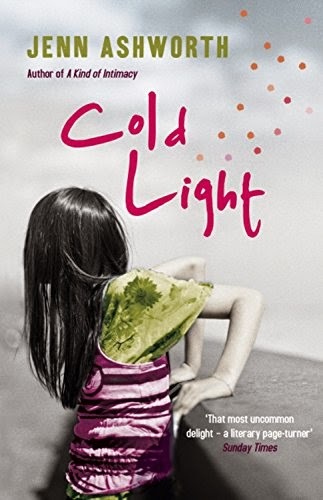 The story of 'Cold Light' revolves around three teenage girls; Chloe, Lola and Emma who live in a small town in Northern England and is narrated by Lola, or Laura as she prefers to be known nowadays. The prologue is set in the present day and it is made clear to the reader that Laura is not the happiest of people and that Chloe has been dead for the last ten years. It is the anniversary of her death and a memorial to her memory is being held in the town. Jenn Ashworth is an expert in creating unreliable narrators and Laura appears both innocent and naive whilst having a hint of unkindness and malevolence at the same time. Chloe has to be one of the most objectionable fictional characters I've ever come across, not since Barbara in Zoe Heller's 'Notes on a Scandal' have I disliked a character so much, yet this adds so much to this story, it's compelling and fast paced and really cleverly written. Chloe spends much of her time being over-dramatic, causing choas and playing her two friends off against one another. She is controlling and manipulative yet has a certain something that makes Lola and Emma keep coming back for more. Her relationship with the much-older Carl is quite dark and disturbing at times, there is a definate air of menace in the story which can make the reader feel a little uncomfortable at times. An excellent story line, well drawn characters and a realistic setting - this novel ticks all of my must-haves. Fantastic stuff! It's been a really busy week, my feet have hardly touched the floor and I'm shattered. It's been a nice week too, with lots of great things done. 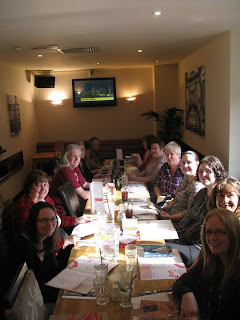 On Tuesday we went out for a meal to The Inn on The Green in a little village called Ingham for Martin's birthday with some of our greatest friends and last night I went to Waterstone's in Lincoln to hear author Karen Maitland talk about her new book The Gallows Curse. Our meal was fabulous, I went for grilled salmon with bubble and squeak AND chips - I can never resist those crispy chips with soft insides. I ate the lot and had rhurbarb upside down cake with ginger ice cream to finish off with. Very yummy! Karen Maitland is a fascinating author. I don't tend to read a lot of historical fiction, but really enjoy her books - she tends to write about ordinary people, rather than royalty and the gentry which I much prefer. I'm looking forward to reading The Gallows Curse and will be sure to post my thoughts on here soon. I also received the most fantastic parcel - a competition prize that I won via Twitter. £30 worth of the most fantastic, wonderful chocolate that I've ever come across. They are from the wonderful people at Chocolate and Love and was run by Chocablog. It contains the most awesome flavours and I'm dying to taste the white chocolate with raspberries - I'm going to have a feast! I'm not going to get a chance to update over the next couple of days, I'm on a training course for two days and busy in the evenings. A mixed batch of post today, alongside a couple of bills and a flyer for the Good Food Show was an interesting looking envelope and a small jiffy bag. In the envelope? Tickets for The Gruffalo's Child at Sheffield Lyceum theatre on April 15. We love Julia Donaldson and especially The Gruffalo and this will be the third show we've been to see - first it was Room On The Broom, then The Gruffalo and now The Gruffalo's Child. Having a small nephew; Dylan aged 8 is the greatest excuse, we can go along to all of these productions without anyone wondering why on earth two fully-grown adults are shouting 'don't you know? There's no such thing as a Gruffalo' at the stage. We all enjoy the whole day so much. We park the car then take the tram into the centre of Sheffield - very exciting for a small boy who lives in a tiny village, he loves to plan the route and announce each stop as we arrive. So, I'm really looking forward to our day out on 15 April - a day off work too! So the other little package? Three individually wrapped Twinings tea bags! Lovely lovely tea - I drink gallons of it, usually strong, builder's type tea with plenty of milk, but I do like to be a little refined sometimes and especially like a cup of Peppermint tea every now and then. I'll enjoy these! I received a review copy of Whatever You Love by Louise Doughty last week, kindly sent to me by Alex from Faber & Faber. I have been really blown away by this novel, it's one of those stories that you really really need to keep on reading, one of those that is almost impossible to put down, with clever twists and turns throughout the very well woven plot. The main plotline is one that puts the fear into any parent; the unexpected and accidental death of a child. Betty is the nine-year old daughter of Laura and David, the prologue of the story is the moment that Laura realises that there are two police officers on her doorstep and then the realisation that Betty is dead. So, a really difficult and emotional subject to deal with, but Louise Doughty deals with it easily - the drama, the emotion and the grief are splendidly portrayed throughout the novel. As Laura tries to deal with her grief, her life slowly unravells and she descends into a kind of 'other' world - almost madness and deep deep sorrow. I was really impressed by how Doughty reveals Laura and David's past relationship, in a series of flash-backs that totally fit into the story and give the reader an understanding of why and how both of them behave like they do. Laura is something of a flawed character and makes some pretty strange decisions, she can be almost melodramatic in her actions at times, but this didn't lessen the impact of the story for me. Overall, this is one of the most intriguing novels I have read for a long time, not uplifting or cheering in any way, in fact it's quite brutal and unsettling at times. A very powerful read. What a wonderfully weird package to receive! A cute little box containing paperclips in the shape of a cat - the oddest, yet strangely loveliest thing I've seen for a long time. A friend sent these to me, she knows me well - my love for cats and my strange addiction to stationery. I've been a bit of a stationery freak for as long as I can remember - pens and post-it notes and bull-dog clips with patterns on - I have them all! I remember going to town with my best friend, we were aged about 10 and we were allowed to get the bus to town for the first time on our own. We lived in a rural village in North Nottinghamshire and the nearest market town was around 12 miles away. The bus journey was 22p for the return journey. It's pretty unimaginable that two 10 year old girls would travel by themselves on the bus to town nowadays, but things just seemed so different then. We would have a couple of pounds each to spend and usually spent the lot on pens and pencils and notebooks - oh and posters of Charlies Angels too. 35 years later and I'm still collecting little bits of stationery, mine is the desk in the office with the coloured stickers, the glittery rulers and the bright pink calculator. My manager at a previous job christened me Pauline - for my love of pens, only fans of The League of Gentlemen will understand that joke, I was well known for having the biggest collection of pens in the building - and I still do. Cat shaped paperclips - who thought of that idea?? Alongside the local free newspaper, a couple of bills and some junk there were four book shaped parcels on my doormat today, and very exciting books they were too. Yesterday I mentioned The Wives of Henry Oades by Johanna Moran - a book that I reviewed some time ago and really enjoyed - well one of the parcels had come all the way from Johanna Moran herself, from Florida in the US of A. A beautiful copy of the UK edition of 'Henry Oades' and personally dedicated and signed, just for me. I am thrilled and the book is currently settling in on my shelf of special books - it's nestled alongside my signed copy of Emma Donoghue's 'Room' - another fabulous read that I will have to tell you all about soon. Another author that I've really enjoyed is Jenn Ashworth. Her first novel 'A Kind of Intimacy' was in my Top Ten reads of 2010. I follow Jenn's blog and also on Twitter and she was kind enough to arrange for me to receive a pre-publication proof copy of her new novel 'Cold Light' - I'm itching to start reading it, it looks great. The last two parcels were both from the new book club run by Elle from Trashionista and contained a copy of 'The Girl Who Chased The Moon' by Sarah Addison Allen and 'Spotlight' by Ilana Fox - both of these two look like fun reads. I've read a couple of books by Sarah Addison Allen before and they are easy, quick reads, a bit sweet at times but stories to make you smile. I reviewed Ilana Fox's first novel; 'The Making of Mia' a couple of years ago, again it was a fun read that cheered me up - I hope Spotlight does the same. So, all in all, a good parcel day for me, it's been a good week overall for parcels, although I doubt my postman feels the same way, in fact, I think he probably hates me at times with all those parcels to deliver. I do have a major annoyance about the postie, and that is those red elastic bands that are dropped everywhere. My boy cat, Nero loves them and seems to be able to track them down anywhere. Nero hates giving them up and it always ends up in a fight, I'm a bit frightened that one day he will swallow one and strangle his intestines. Bad Postie!! Oh, just a quickie, last night my friend Caroline and I went to see Lady Chatterley's Lover performed by the Hull Truck Theatre Company at the Trinity Arts Centre in Gainsborough. It was so fab, we loved it and would recommend it to everyone. I've been really lucky to be able to read some fabulous books before they have been officially published. Discovering a new author is wonderful, there have been some really excellent debuts just lately. Two of my favourites lately have been Postcards From The Heart by Ella Griffin and The Wives of Henry Oades by Johanna Moran - very different stories, but both excellent reads. Postcards From The Heart is the debut novel from Irish author Ella Griffin. The novel is warm, funny, engaging and full of emotion and places Ella Griffin well and truly up there with some of the best modern female Irish authors. Anyone who enjoys Marian Keyes, Cathy Kelly or Patricia Scanlan is going to really enjoy this. If this were a film, it would be a rom-com, definitely funny and most definitely full of romance, but not slushy or overly sweet - it's down to earth and Griffin's characters are likeable and well drawn. The story revolves around two couples - best friends for years but living very different lifestyles. Saffy and Gregg are rich, successful and famous whilst Conor and Jess are poor but very happy. It's about falling in love, hanging on to love, losing love and then finding it again. There are some complex relationships, not least between Saffy and her mother, and at times the story is very emotional, yet even when dealing with the heavy issues, the touch of humour is always there in the background. Jess and Conor's twin children are amazing characters with both of them having some fabulous one-liners. I think Ella Griffin has a real hit with this novel and I'm looking forward to reading more from her. In the early 1890s, British accountant Henry Oades accepts a new job in New Zealand. Henry, his wife Margaret and their two children travel across the world and whilst Henry is quite excited and adventurous, Margaret is more of a home-bird who loves her family. The family make a new life for themselves in a place that is somewhat coarser and rougher than expected, but seem happy. Until one night Margaret and the children are kidnapped by Maori warriors. Henry goes almost crazy in his search for his family and finally can take no more and moves to San Francisco. Eventually he meets and marries a young widow. Margaret and his children have been enslaved to the Maori for five years before they make their escape and eventually end up on Henry's doorstep. 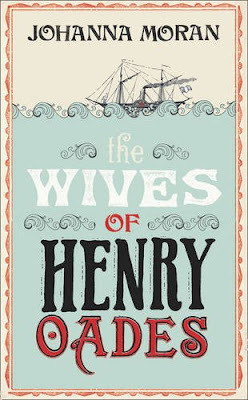 So Henry now has two wives - what is to be done? The story is based on a true legal case that the author's father discovered in some old legal papers, and is a really riveting read. Mostly told through the eyes of the two wives - it is beautifully written with lots of humour splashed throughout. It really is a remarkable story that reads perfectly. 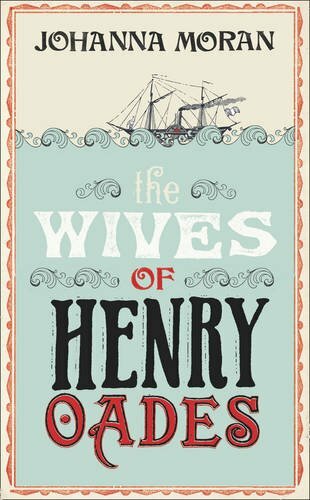 The two wives are courageous and dedicated and as the novel unfolds they become closer and more loyal to each other, whilst still both adoring Henry. What a busy day! Non stop meetings with loads of work to get done as a result, I think I inhaled my chicken sandwich and lemon drizzle doughnut - they didn't seem to touch the sides. No random items through my letterbox today - only one that I expected. 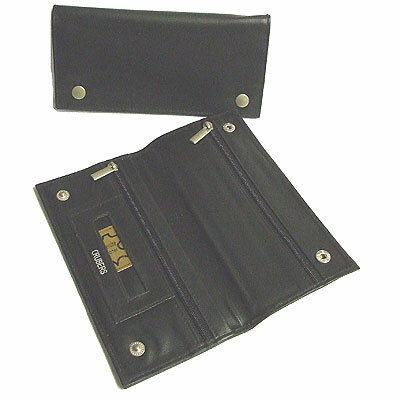 Brilliant service from www.roll-ups.co.uk - I ordered a new tobacco pouch for Martin yesterday and it arrived today. It's Martin's birthday on Tuesday - it's also pancake day - I wonder if I could get away with a candle on his pancake instead of a real cake? Smoking - I expect I shouldn't really admit to that very dirty habit online, but I will. Sometimes if you actually admit out loud that you smoke, people will look at you with 'that' face - you know the one, they look at you like you've just run over their pet dog or something. I often think that if I said that I kidnap small children off the street and send them out shop-lifting people would be more accepting. We smoke, not loads and loads, just a few, every now and then. Never in the house, or in other people's houses - usually on the decking outside or in the pub beer garden on quiz night. Believe it or not, the smoker's corner outside the pub is usually the place where the best fun is had. OK, so this parcel didn't actually come through my letter box, I carried it through the door - OK, Martin carried it through the door, but it's an exciting project and I wanted to share the news. World Book Night is this Saturday - 5th March. 20,000 volunteers were chosen to give away 1 million books - I was lucky enough to be chosen and I also got my first choice of book - Nigel Slater's Toast. One of my very favourite books, I read it when it was first published and also watched the drama on TV over Christmas. I collected my box of 48 copies of Toast on Saturday from Gainsborough Library. As I work in the voluntary sector I have lots of groups that I can pass the books on to. My friend is an outreach worker for AGE UK and she is going to give some to her clients. We are also having a fundraising event at the office - to raise funds for our local Hostel for the homeless and I'm going to give some away then. There has been much debate about World Book Night online - some authors and independent booksellers don't agree with it at all, they feel that by giving away books the booksellers will lose out. I am thinking much more optimistically about it and hoping that more people may be encouraged to buy a book after reading their free copy. Heres hoping anyway. I do think though, in these troubled times it will be lovely to give and receive something for free. All the way home, I was wondering if there would be any parcels waiting for me today - it would be ironic if there weren't, seeing as today is the first day of my blog. Relief! Two parcels sitting patiently for me - one was the familiar book shaped jiffy, whilst the other was just a tiny little thing with a hand written address - how intriguing! Here is what it was - how lovely! A foil blanket - just the thing! Now, I certainly don't remember ever requesting this one but of course it will come in useful for the snow that is bound to appear by the end of the year. An awful journey, my fuel light came on, I needed to wee and I was hungry, I've never been as pleased to see my front door as I was that night. Of course, I now carry essential items for times of emergency and this wonderful foil blanket can join them, I've just checked the contents of my essential items in my boot - oh yes those 17 hessian shopping bags, a torch with no batteries and a pair of flip-flops will get me through anything - I don't think! My book shaped parcel was a bit of a mystery too - no compliment slip or return address but I think I've worked out that it was sent by Macmillan Publishers. It's an advance reader's copy of The Transformation of Bartholomew Fortuno by Ellen Bryson. What a title! Reading the blurb on the back, I think it's going to sit nicely alongside Jamrach's Menagrie - the book I reviewed a few days ago. I now have a pile of 5 review books to read - better get on with then! I'll be sure to let you all know what I make of it. More often than not, the parcels that arrive on my door mat are rectangular in shape - and contain books. I've been reading since I was 4. I average around 150 books per year - so over the last 40 years, that's a lot of books! I'm part of the Real Readers programme http://www.realreaders.co.uk/. 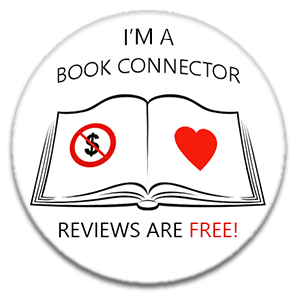 Real Readers is a great project and allows readers to review books before they are released. It's run by the friendliest and most helpful guy called Simon. I've had a couple of books that didn't really impress me, but on the whole, there has been a great selection. 'Jamrach's Menagerie' is a real rollicking romp of an adventure, transporting the reader bang smack into the middle of 19th Century London where the hero of the story; Jaffy, lives with his Mother. Jaffy's is eight years old when he comes face to face with an escaped tiger on a busy London street. The tiger belongs to Mr Jamrach and is being taken to his menagerie to join the other exotic animals and birds who reside there, waiting to be snapped up by members of the gentry who consider it quite fashionable to own their own exotic beast. Jamrach offers Jaffy a raspberry cream puff and a job at the menagerie, and it is then that life changes for him. Jaffy becomes involved with Tim and his twin sister Ishbel and it is not long before he and Tim set sail for the other side of the world - in search of a 'dragon' from the South Pacific - the only animal that Jamrach does not yet own. Tim and Jaffy set sail, along with famous seaman Dan Rhymer. Their experiences on board the whaling ship the Lysander involve adventures with colourful characters, strange lands and even stranger and horrifying creatures. Jaffy experiences things that no small boy should ever come across, and the reader is witness to some quite unsavoury behaviour along the way. The story contains drama and adventure and rolls along at a fairly quick pace. There is an interesting use of language at times, which sometime irritated me - I felt it was pretty stereotypical of sailors but didn't really detract from the action. Although the story is based on some true incidents - there really was a Jamrach who supplied London Zoo with animals and there is a statue in the Tobacco Dock shopping centre in Wapping, London of a boy facing up to a tiger, most of the characters are fictional and are well-drawn and interesting. High seas and high drama, an enjoyable, if at times a little over the top read. So, there's my first thoughts on things that have popped through my letter box - there will be more! Hello and welcome to my ramblings, mainly about the random things through my letterbox. I've been receiving random items through the post for many years now. 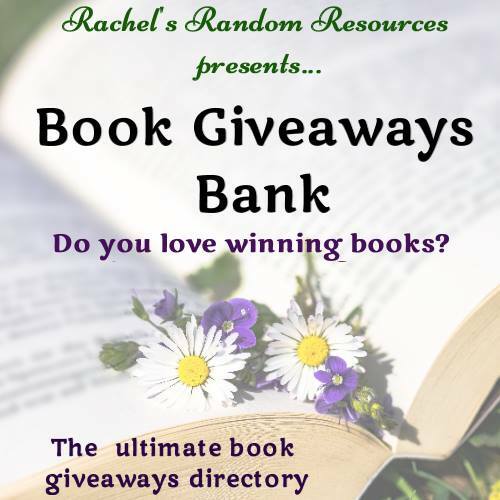 Most of the time I haven't a clue where they've appeared from - I'm forever joining mailing lists and entering giveaways - I never remember what I've entered. My friends and colleagues are often amazed by what I've received - and no longer find it odd when I remark 'Oh, it came through the post'. I got the idea about talking about these random items, photographing them and reviewing them in a blog from Ian Carpenter - the author of 'Guardianwork, published by Beautiful Books. I was lucky enough to meet Ian last year and briefly mentioned to him about the random items, he encouraged me to start writing about them, so, nearly a year later, I've taken the plunge! Oh and by the way - I actually paid for my copy of Guardianwork - it didn't appear randomly at all.